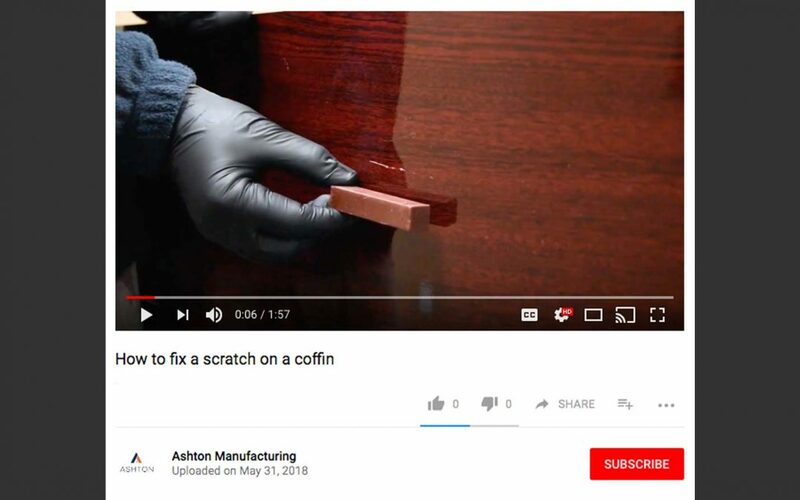 Have you ever scratched a coffin and needed to fix it quickly (and properly)? This short 1 minute 58 second video featuring Tim Cowell, one of our polishing experts, shows you just how easily a scratch can be touched-up. Tim demonstrates the 3 materials you need to use, and how to use each of them. You’ll be surprised how quickly a touch-up can be completed. Why not share the video with your staff?